Two Customers are Moving Away. Whose losing who? Two of my customers are moving away. They’re great accounts and are fun to work for. One’s a four thousand square foot place in Midtown about a hundred years old. The only basement remodel ever done was in 1937, it’s in perfect shape and well preserved. The first floor is grand and about nine and a half feet tall. 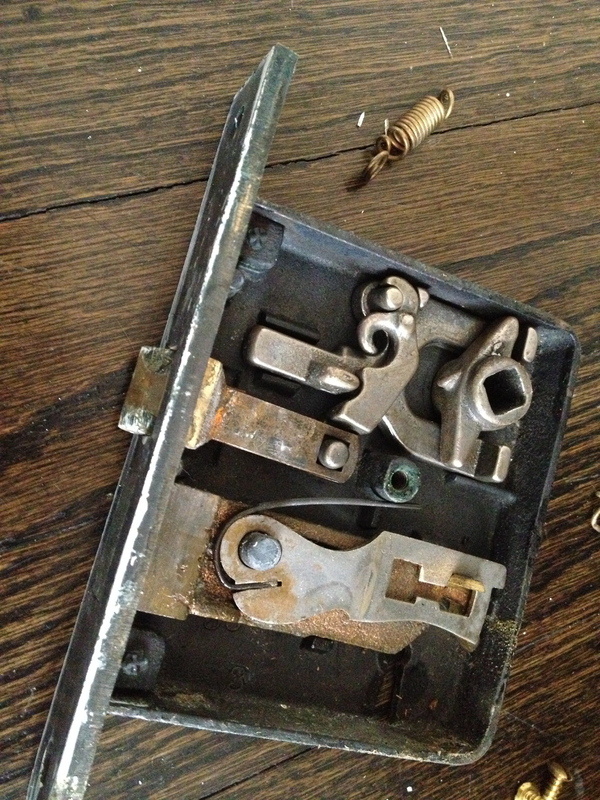 A lot of the original equipment is still in this house, including all the steel frame and sash exterior windows. The customer knows these things are cold in the winter and hot in the summer. She loves them so much she won’t have them cut out and replaced. Even though I’m a energy conservation nut, I’m kind of glad. I’ve worked on this house from the basement to within about eight feet of the roof ridge. All over the house inside and out. I love this place. The other is a twenty two hundred square foot ranch, with a nice size lot. It’s about 60 years old is Pennsylvanian in style and has a great covered deck on the back. Same thing, top to bottom. I’ve been all over this house too. The foundation had to be repaired several years ago. When the foundation project was being done things went awry. Over several months I spent several days of service assisting the customer’s negotiations to finish the mess that occurred. It’s one of those days I was glad I brought my box of brains. I love his house too. Both of these customers are like most of my customers. Amazing. They are selling, packing and sorting furniture and house wares. The grown kids are getting the things they like. And, they are both making repairs. This is the amazing part to me. This is what house people do. These people are getting ready to sell and move in the next one or two years, and they both have a certain something in their heads about the condition of the house before it’s sold. No crazy stuff, they’re not worried about kitchens or baths. But a lot of paint and touch up. I’ve done tuck point repairs, all kinds of metal window painting, tightened door knobs and cabinet hardware, refinished attic stairs, cleaned six foot deep window wells and lots more paint. A mechanical inspection listed a couple things so an electrician will make some improvements. These customers are determined to sell their houses in just right condition. I’m going to miss these two. They’re both characters and have let me do a lot of good work on their homes. I’ve worked there long enough to lock the place up when they’ve already left for the evening. We joke about me following them to their next town and getting the next house in shape for a few weeks. This is crazy of course because one is going to Denver and the other to Virginia. wondering if you were give the same glowing reports about me and my many projects that you have handled over the years ?? ?